Thomas Riley Marshall, who was Governor of Indiana, as well as Vice President under Woodrow Wilson, will be the subject of a program at the August 20 meeting of the Wabash County Genealogical Society (http://www.rootsweb.com/~inwcgs/) . The meeting will start at 6 pm and will be held at the Grandstaff Funeral Home (1241 Manchester Ave., Wabash IN). 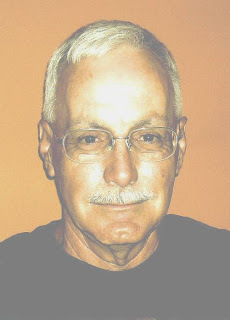 John Knarr will present the program on the Thomas Riley Marshall family, who lived in North Manchester, Indiana. The Owen County Historical and Genealogical Society (http://www.owen.in.us/owenhist/owen.htm) will meet August 21 at 7 pm at the Owen County Public Library (http://www.owenlib.org/) in Spencer, Indiana. Terresa Thompson will demonstrate techniques for editing photos, including some "before & after" samples. Attendees are invited to bring in some old photos or negatives to be scanned. The Indiana Genealogical Society has appointed Russell Wilhoit of Greensburg as the Indiana County Genealogist (ICG) for Decatur County. Russell is currently Vice-President of the Tri-County Genealogical Society(http://www.genstuff.net/) and a past board member of the Decatur County Historical Society. Russell is a lifelong resident of the county with over 25 years of experience, including as a researcher for hire for the past 7 years. He has compiled several books about the county, including Decatur County Divorces 1823-1900, Decatur County Coroners Reports 1873-1948, Decatur County Obituaries 1897-1907, South Park Cemetery Records 1823-1923, county death record books for 1882-1896 and an 1870 census index. He is also the Decatur County Historian and helps answer queries for the Decatur County Public Library, as well as various county offices. A Hendricks County homeowner recently found the tombstone for Civil War veteran Christian A. Nave (1849-1886) on their property. The tombstone has been missing from his grave in Danville East Cemetery since the 1970's and was discovered being used as part of a fence line. The tombstone was turned over to the Indiana National Guard, who got in touch with the Indiana Department of Natural Resources' Division of Historic Preservation & Archaeology. The tombstone will be cleaned before being restored to his gravesite. Christian A. Nave (born December 1849 in Indiana; died 7 October 1886 in Danville, Hendricks County, Indiana; buried in Danville East Cemetery) was a private in Company I of the 9th Indiana Cavalry (121st Regiment), serving under Colonel Eli Lilly. According to The History of Hendricks County (1885), he mustered in January 15, 1864 and mustered out August 28, 1865. He became an attorney in Danville and was admitted to the bar in 1870. Christian A. Nave was the son of Christian C. Nave (born 22 August 1803 in east Tennessee; died 3 August 1884 in Danville, Hendricks County, Indiana; buried in Danville East Cemetery) and Lurena Rich (born about 1817 in Connecticut; died 12 June 1852; buried in Danville East Cemetery), who were married 2 December 1838 in Tennessee. Christian C. Nave was a colonel in the Mexican-American War and an attorney in Danville. He was the son of John and Elizabeth Nave. --Elizabeth J. Nave (born about 1839 in Indiana)--married Isaac O'Haver (born in Virginia?) 29 September 1859 in Hendricks County. They apparently had a son, Edward O'Haver (born about 1861 in Indiana) who was in the household of his uncle Hubbard B. Lingenfelter in the 1880 census. --Mary L. Nave (born December 1842 in Indiana; died about August 1920; buried in Danville East Cemetery)--married Hubbard B. Lingenfelter (born 26 September 1841 in Clark County, Kentucky; died 24 October 1938; buried in Danville East Cemetery) 21 October 1862 in Hendricks County. --George Webster Nave (born about 1846 in Indiana; died after July 1895)--he was also a Civil War veteran, serving in Company B of the 117th Infantry (he mustered in as a private on 23 July 1863 and mustered out as a corporal on 23 February 1864) as well as a private in Company H of the 132nd Infantry (he mustered in as a private on 18 May 1864 and mustered out 100 days later with the rest of the regiment). He married 1) Nancy Jane Chambers (born 1847 in Indiana; died 13 October 1884 in Danville, Hendricks County, Indiana; buried in Danville East Cemetery) on 29 November 1866 in Hendricks County. He married 2) Lizzie Marie Davenport on 17 July 1895 in Marion County, Indiana. --Henry L. Nave (born December 1851 in Indiana; died after 1910)--he was a Presbyterian minister who was in the 1880 census in Huntington, Huntington County, Indiana and the 1900 census in Crawfordsville, Montgomery County, Indiana before moving to Portland, Oregon for the 1910 census. He married about 1879 to Florence Cora ?? (born January 1850 in Indiana; died 1900-1910). Their old address (http://www.statelib.lib.in.us) will continue to function for the next 3-4 months while they complete the transition. 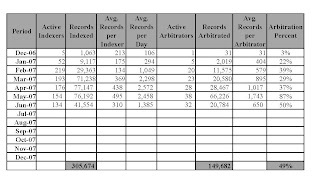 Thanks to the hard work of all our indexers and arbitrators, we have indexed over 300,000 records in the first 6 months of the project! Congratulations to all the volunteers. The Indiana Genealogical Society is looking for a volunteer to take over as their Central District Director. The Central District Director acts as a liaison for Boone, Clinton, Hamilton, Hendricks, Johnson, Marion, Morgan and Tipton counties, relaying the activities, news and concerns of genealogists and organizations in the Indianapolis area. The position is part of the IGS board and the district director is expected to submit written reports and attend IGS board meetings, which are held 4 times a year, usually at the Plainfield Public Library (http://www.plainfieldlibrary.net) in Hendricks County. Mileage is reimbursed. The Fulton County Historical Society (http://www.icss.net/~fchs/) in Rochester, Indiana will hold a "Genealogy for Night Owls" in the Tetzlaff Reference Room of the Fulton County Museum on Friday, July 27 from 7:30 pm to midnight. Peggy Reen will speak on how to find your colonial ancestors and museum director Melinda Clinger will give a demonstration on using Ancestry.com. Researchers are welcome to bring their laptops, scanners and cameras. Drinks and snacks will be provided. For more information, contact the museum--phone (574) 223-4436. The Indiana Genealogical Society has just published indexes to the 1890 soldiers enrollment lists for Clark, Clay, Clinton, Daviess, Decatur, Montgomery, Morgan, Newton, Noble, Ohio and Orange counties in Indiana. The lists enumerated the veterans of all past wars who were living in various Indiana counties in 1890 (or information on their widows and children). The indexes contain detailed information from the lists and are in Adobe Acrobat format on CD-ROM. Marriage Indexing: Eventually . . .
. . . future researchers will use our index to locate a particular marriage record. When they find what they think might be the right one, they will be able to (with a click or two of their mouse) view the actual digital image of the document -- the same document you are using to create the index. That means that if we misspell a name, index what's there even if it is an obvious error, etc., the future researcher will be able to see all that as well. Our job is just to provide the tool -- the index-- that will allow them to find that record. We can't change what some clerk of more than a hundred years ago put on a record but we can, as accurately as possible, provide the path to that record for future generations. WOOD/PRATT--Seeking information about the ancestry of both Harry Fletcher WOOD (born 28 September 1891; died 1957) and Nellie Mae PRATT (born 6 September 1896; died 22 April 1989), who were married 3 December 1912 in Hancock County, Indiana. I am related through their son, Hugh Forest Wood (born 1918). Harry Fletcher Wood (1891-1957) was the son of James R. Wood (born about 1863) and Cora A. DAVIDSON (born June 1868), who were married 9 June 1886 in Hancock County, Indiana. James R. Wood (ca. 1863-?) was the son of John C. Wood (born about 1835 in ?Ohio?) and Phoebe APPLEGATE (born about 1835), who were married 3 December 1854 in Hancock County, Indiana. Cora A. Davidson (1868-?) was the daughter of Henry S. Davidson (born about 1826 in ?Ohio?) and Margaret J. BILLS (born abt 1831 in ?Indiana? ), who were married 27 September 1866 in Henry County, Indiana. Nellie Mae Pratt (1896-1989) was the daughter of James J. Pratt (born about 1845) and Louisa Melvina LAWSON (born December 1859 in Marion County, Indiana), who were married 13 August 1879 in Hancock County. James J. Pratt had previous marriages to Mary F. CRAGAN on 10 October 1867 in Hancock County and to Amanda Lawson on 27 December 1874 in Hancock County. We are getting new types of records for Sullivan County Marriage Returns, and some guidance is needed. There is an age listed, but no birthdate so -- for the birthdate -- mark it blank. Both color and race are included. Use whatever it says for RACE. Ignore COLOR. Some indexers are including the names of the witnesses and the date recorded rather than he minister and the date of the marriage. Use only the MARRIAGE DATE and the name of the person who performed the ceremony. Some are STILL adding Indiana to place names when it isn't indicated on the document -- and leaving it off when it is indicated. And for the number of marriages, PLEASE enter ONLY what you see on the document for the number of marriages! Marriage Indexing: Not A Marriage Record? In the middle of your screen - toward the right-had side -- next to where it says MARRIAGE, click on the drop down arrow and select NO EXTRACTABLE DATA IMAGE. Then return the batch to FamilySearch. The DeKalb County, Indiana Genealogy Society (http://www.rootsweb.com/~indkigs/main_page.html) has published Wittenburg Church Record Book 1843-1938 (400+ pages, softbound). Compiled by Aneita Allen and indexed by Roselyn Wells, the book is about the now-defunct Wittenburg Lutheran Church that was in Troy Township, DeKalb County, Indiana. It was organized in 1843 and it eventually disbanded in 1940. This book contains a membership roll, obituaries of some members, a list of ministers, Sunday school records, and some early baptism, marriage and death records. The book costs $20 plus $4 shipping & handling. Make checks payable to DeKalb County, Indiana Genealogy Society and mail to: DeKalb County, Indiana Genealogy Society, P.O Box 6085, Auburn IN 46706. CRONE--Does anyone know anything about the ancestry of Henry Hoagle CRONE (born 1849 in Ohio; died after 1880) who married Margaret Ann HUSHER (born about 1845 in Indiana or Virginia; died after 1880) on July 26, 1868 in Miami County, Indiana? They were in the 1870 census in Jackson Township, Miami County and the 1880 census in Owen Township, Clinton County, Indiana. I have been unable to find out who Henry's parents were. I do know there were other Crones in the area, including an Eden Crane (born about 1849 in Ohio) who was a domestic servant in a boarding house in Peru, Miami County in the 1870 census. Some of the batches you are receiving now may be marriage license applications with no marriage information on them. Please index everything you can from these applications but mark the marriage day and month and year and the official's name as blank (Ctrl+B). Also, someone is entering the state in the field for License County. Please enter only the name of the county. Many thanks to all the indexers and arbitrators for making June another terrific month for this project! This was received from an arbitrator. The Indiana Department of Transportation (INDOT) recently announced that they plan to move a pioneer cemetery on the northeast side of Indianapolis. The Whitesell (or Whitsell) Cemetery is a pioneer cemetery located on Castleton Road in Lawrence Township, near Wheaton Worldwide Moving. The cemetery overlooks Interstate 69, near the interchange with Interstate 465. With Interstate 69 scheduled for expansion in 2012, INDOT plans to relocate Whitesell Cemetery to the pioneer section of Crown Hill Cemetery (http://www.crownhill.org) at 700 West 38th Street in Indianapolis, at a cost to the state of $400,000. This fall, the approximately 30 sets of remains thought to be buried in Whitesell will be mapped and exhumed by forensic anthropologists from the University of Indianapolis, then re-buried in the same configuration at Crown Hill Cemetery in the spring of 2008. The tombstones will also be moved to Crown Hill, with cemetery restoration expert John Walters performing some cleaning and repairs on the 150-year-old stones. A monument will also be erected at Crown Hill, explaining the relocation. The Bartholomew County Genealogical Society (P.O. Box 2455, Columbus IN 47202) will meet July 28 at 1 pm in the Conference Room of the Bartholomew County Public Library (http://www.barth.lib.in.us) in Columbus, Indiana. Paul and Artella Williams will present a program on old handwriting. The Genealogy and Local History Library of the Johnson County Museum of History (http://www.johnsoncountymuseum.org) in Franklin, Indiana will be open on Friday, July 27 from 6 pm to midnight for extended research. There will be a tour of the genealogy collection at 6:30 pm and Betty Warren, Certified Genealogist, will be on hand to answer research questions (by appointment only) from 7:30 to 9 pm. Snacks will also be served. Call (317) 346-4500 to register. The Genealogical Society of Marion County (http://www.rootsweb.com/~ingsmc/) will meet July 14 at 11 am at the LDS Family History Center (110 N. White River Pkwy., Indianapolis IN) which is west of the Indianapolis Zoo. There will be a roundtable discussion of favorite genealogy websites. The Crawford Countian was recently published on CD. The CD is in PDF format and contains the April 2003 through April 2007 issues of the newsletter of the Crawford County Historical and Genealogical Society (http://www.cchgs.org/). The cost is $15 + $3 shipping. Make checks payable to Crawford County Historical and Genealogical Society and mail to: Priscilla Eastridge, 866 N. Sycamore Rd., Taswell IN 47175. An order form is also available on the society’s website. The Crawford County Historical and Genealogical Society (http://www.cchgs.org) recently published Crawford County Tract Book Two, 1860-1874 (400+ pages, softbound). It includes a listing of all the buyers and sellers, along with the date of the deed and the location of the land. The cost of the book is $25 + $3 shipping. Make checks payable to Crawford County Historical and Genealogical Society and mail to: Priscilla Eastridge, 866 N. Sycamore Rd., Taswell IN 47175. An order form is also available on the society’s website. The Genealogical Society of Whitley County (http://genealogy.whitleynet.org/) will hold their annual Dinner Meeting on August 9, 2007 at 6:30 pm at the Eagle's Nest Event Center (125 S. Eagle Glen Trail, Columbia City IN). The cost is $11.75 per person, which includes dinner and a program about America's history through story and song. Reservations must be mailed by July 20, 2007. Send the names and contact information of those attending, along with your check made payable to Genealogical Society of Whitley County, to: Genealogical Society of Whitley County, P.O. Box 224, Columbia City IN 46725. The Louisville Genealogical Society (http://www.rootsweb.com/~kylgs/) will hold their Family History Seminar and Book Fair on August 25, 2007 from 8:30 am to 4 pm at the Founders Union Building of the University of Louisville, Shelby Campus (9001 Shelbyville Rd., Louisville KY). The featured speaker will be Barbara Vines Little and topics will include Virginia tax records and Virginia migration patterns. General admission is $5; the lectures are $10 each to attend. There will also be free classes you can attend, including sessions on using maps & gazetteers, researching German ancestors, and the use of DNA in genealogy research. The Tri-State Genealogical Society (c/o Willard Library, 21 First Ave., Evansville IN 47710; http://www.rootsweb.com/~intsgs/) will hold their Fall Seminar on October 20, 2007 at the Holiday Inn Conference Center (Highway 41N & Lynch Rd., Evansville IN) beginning at 8 am local time. Lloyd Hosman will be the featured speaker, with topics including newspaper research, census research and Indiana research. There will be genealogy vendors and free help tables, and door prizes will be awarded. The Tri-State Genealogical Society serves the genealogy interests of southwest Indiana, southeast Illinois, and western Kentucky. Marriage Indexing: No "nee" Please! If John Brown's" wife is listed as Jane Brown nee Miller, that means her maiden name was Jane Miller and that is what should be indexed for the mother's maiden name. In no instance should the word "nee" be included as part of a woman's name -- even if that is what the clerk wrote on the document! Her married name is Jane Brown and her maiden name is Jane Miller.